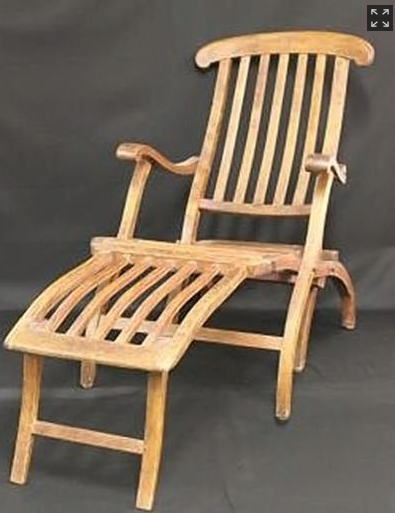 An actual deck chair from the doomed Titanic cruise boat we totally wish we were on because we totally would have survived is up for auction. The chair was picked up by a rescue boat, who presumably also picked up people, after the Titanic sank 103-years ago TOMORROW*. The chair, which looks neither comfortable nor haunted, is really cool and we want it. *Titanic should be on television all day on repeat, like “A Christmas Story” on Christmas.